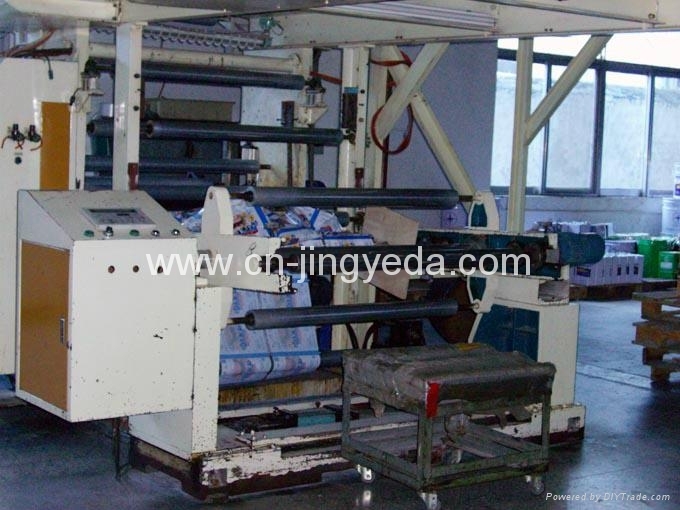 Heavy Duty Computerized Dry Laminator - China - Manufacturer - 4. 1. Central industrial computer control. Automatic program control. Top global level. 2. English display monitor. Easily display all control and performance data. Plenty of functions. 3. 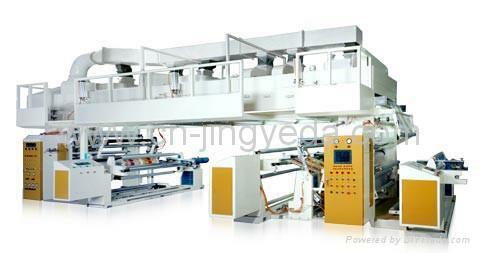 Closed loop for control of the 1st unwinder, 2nd unwinder, in feed, gluing, lamination, rewinding, tension control, etc. 4. The machine is built up with the 1st unwinder - in feed - gluing- 2nd unwinder ¨- 2nd unwinder- lamination- rewinder- auxiliary devices, etc. 5. 1st and 2nd unwinders are of turret type. Shaftless conic type press for installation. The driving and tension control systems are synchronized. They have pre-driving and automatic cutting and splicing. They are also equipped with EPC of pneumatic hydraulic devices. 6. Unwinding to in feed system employed automatic tension control. It has 2 driving motors, 2 frictionless cylinder assemblies, tension sensors and vector motors to form a closed loop and controlled by the central computer. 7. The coating system has meshed roller type coating heads, impression rollers, transverse moving doctor blades, glue circulation devices, glue blades, etc. AC motor driving. AC V.F drive for closed vector control. 8. Drying chamber has 4 sectional heating zones. Automatic temperature control. Air in and out quantity is adjustable as per the craftwork. 9. Guiding rollers inside the chamber initiatively run with synchronization. 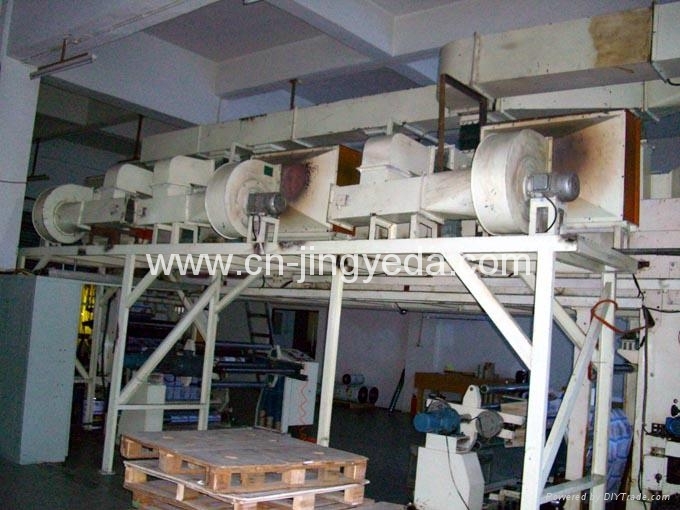 It is also with pneumatic opening devices and film in feed platform. 10. Lamination devices has laminate roller sets of double layer internal threads, aux. Pre-heating rollers, cooling rollers and initiative transmission rollers. AC motor driving (automatic tension inspection and display). 11. 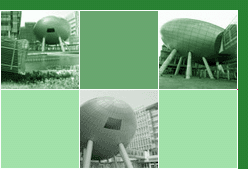 All passive guide rollers uses imported, hardened and anodized aluminum rollers . 12. All low voltage electrical components are imported and of well known brands (Intermediate relay, fuse and none standard pieces are exceptional). 13. All pneumatic and main cylinders are imported and of top brands. Gluing qty Controlled by roller mesh number and glue consistence. 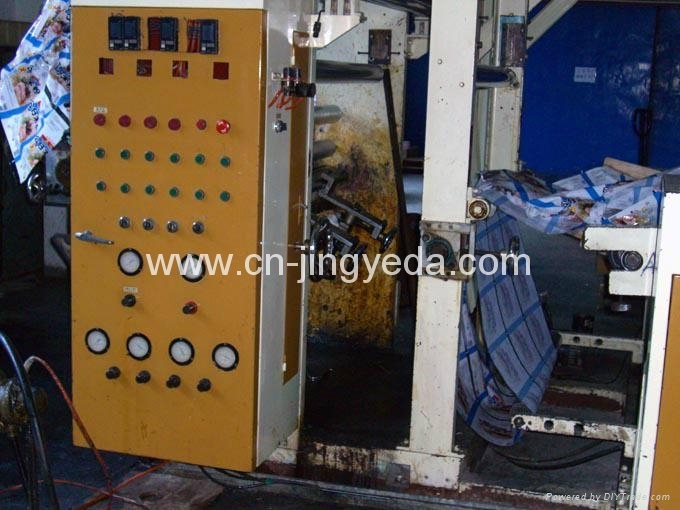 Gluing Pneumatic press, doctor blade move transversely within +/- 10mm. Power source 380VAC+/-10%,50Hz, or as requested.